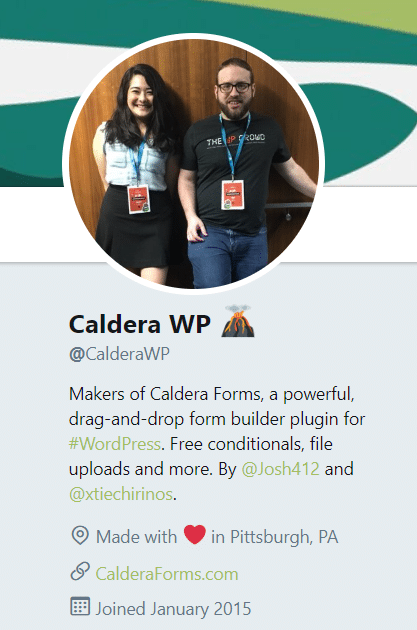 Tina is the co-founder of Social Web Suite, an all-in-one social media dashboard deeply integrated with WordPress that fully supports both Gutenberg and WooCommerce. You can find Tina on various WordCamps and digital marketing conferences as she enjoys meeting new fellow WordPressers and spreading the word about WordPress. There’s no denying that social media is a vital component of a successful digital marketing strategy for all types of businesses. Your presence on social media helps to increase your brand awareness, engage your customers, and boost SEO which leads to more website traffic. But there’s a whole lot more to successful social media marketing than just putting up profile pages and pasting a few posts each day. Use the techniques listed in this article to increase your business’s impact on social media. Today, over 2.5 billion people are active on social media, and that figure is only going to increase with time, which means that social media is a great channel to target your ideal audience, build awareness and engagement, and ultimately convert them. When leveraged the right way, social media can help you get miles ahead of your competition. When leveraged the right way, social media can help you get miles ahead of your competition. Facebook – With Facebook, you can set up a business page and post regular special offers for those people who like your page. You could ask customers to post pictures or testimonials to your page about one of the products that they bought from your site. Twitter – You can use Twitter to post engaging facts about your business, and also post interesting facts about your products and then include links to the product page. Your other tweets can be tips on how to use your products or services. Twitter cards and promoted tweets are a great way of advertising your products inexpensively. YouTube – Creating a YouTube channel for your business is a great way of keeping your prospects and customers engaged. Post regular, short, fun, and helpful videos to your channel and ask your audience to share them with others. You can also ask your customers for short video testimonials that you can then post on your YouTube channel. LinkedIn – Update your LinkedIn profile with links, product reviews, and relevant articles. Join groups that are popular among your target audience, and post questions and comments that are related to your products or services regularly. Ask the people in your network to provide recommendations for your business in LinkedIn. Pinterest – Create Pinterest boards for your business and include relevant themes and products. Add the Pin button to your site pages and encourage your visitors to pin or post images of your products on Pinterest. Add short text product descriptions to your pins, and also pin useful videos to your boards. Instagram – Utilize Instagram stories and post relevant and interesting stories about your business, customer success stories, etc. Now that you have an idea which social platforms you might want to use, it’s time to decide on how often you’re going to be posting on those social networks. You also need to know which are the best times to post so that you get the maximum level of engagement from your audience. It’s vital to automate as much of your social media marketing tasks as possible so that you can spend more time engaging with the customers on your chosen platforms instead of spending it on creating and promoting posts. There are many tools to choose from – some free, and some paid, but they will help you maintain a constant presence online and keep your customers engaged without you having to live on social media. Most of the tools also come with extremely helpful features to help you figure out how often and what time to post to get the most engagement from your audience. Our favorite tool is Social Web Suite. There are many ways in which you can use social media to benefit your business. Whether you choose to go with Facebook, Twitter, LinkedIn, YouTube, or any other channel, there are many ways for your business to benefit from your social media efforts beyond social media itself. A lot of small businesses and startups could stand to benefit a lot from a well-executed social media marketing strategy. Paid search ads may not return the best results due to the need for more targeted options, and that’s where social advertising truly excels. It allows you to use more advanced targeting options (demographics, interests, and behaviors) than just locations and keywords which means that you’re more likely to be able to connect with your ideal customers than with other types of advertising. Every business should make use of analytics software or tools like Google Analytics to help them keep track of important business metrics. But, social media goes one step further by offering marketers a way of tapping into the more ‘personal’ side of their business’s analytics. For example, Google will give you a breakdown of your site visitors’ ages, genders, interest groups, Facebook Audience Insights offers you more. You not only get to see the age, gender, etc. but you also get the relationship status, lifestyle habits, educational level, and so much more. And where Google Analytics only shows you how many visitors viewed your content and for how long, Facebook Reactions lets you see how many of those people liked, loved, or were absolutely wowed by your content. Although most social media users are active on more than one network, they typically have a favorite where they spend the majority of their time. Use automation tools to post at least once a day to your main platforms, and a few times each week on the rest. All this helps to create a clear, consistent message, keep your audience engaged, and is bringing more social media traffic to your site. Social media is a great tool to use for researching your competition and finding out what makes them tick. It works particularly well for this thanks to the public nature of its activities. There are free and paid features that you can use to quickly find out important information such as the Facebook Reactions feature which allows you to see how your audience rates your competitors’ content or ads. There’s also the Facebook Audience Insights tool which lets you check out the demographics, likes, and dislikes of your competitors’ fans. These are just two of countless examples of how you can use social media for competitor research. If your business creates content, then social media is a great way of promoting it. Social media benefits your content marketing, search engine optimization, and traffic generation all at once. Whenever you craft any type of content, post it to your social media profiles and pages to ensure that you reach your target audience. Analytics tools like BuzzSumo can help you find the best content to share based on which topics get the most social shares. Social media also helps your SEO by helping your brand dominate the first page of the search results. It’s vital to have a social media presence online, but since you don’t own that real estate, it’s a good idea to direct your audience toward something that is fully within your control: your email list. The great thing about social media is that it’s perfectly suited for building an email list. All you really need is a relevant lead magnet (something free that you can offer your audience in exchange for their email addresses), and a squeeze page (a landing page that is designed just for capturing emails). You can then start building your list of subscribers that you’ll be able to market to again and again. People love to use social media for customer service. After all, why spend time on a phone call when you can get your answers faster and with less hassle? Twitter and Facebook are great platforms for solving customer service issues. Allow your customers to message you directly on these platforms so that you can keep most of the complaints off of your main pages. Respond quickly to ensure that your customers stay happy and satisfied. Using social media to promote your business is a smart way to get the results you need while keeping your customers or prospects engaged and talking about your business. Use the tips outlined below to kick-start your marketing initiatives. They will help you boost interest and drive customers to your business so that you get the most out of your social marketing efforts. Fill Out Your Profile – Add all necessary information on your brand’s pages including links to other social network profiles. Add your ‘about’ information in an engaging and well-thought-out way instead of doing it as an afterthought. Cross-Promote Across All Your Social Media Channels – You should occasionally remind your followers and fans that you have other social accounts using links to other social pages and calls to action asking them to follow that account. You can even use the space in your bio for that purpose. Promote Social Accounts in Email Signatures and Newsletters – Use your social icons in your email newsletters as well as your email signatures. This is a great way of subtly reminding your audience of the other places where they can find you. You could even use a more direct approach by adding a fan section in your newsletter where you showcase photos of your community and add links to your account. Offer Social-Only Discounts – Provide your social audience with great deals and discounts via a simple code in a post. You could even try doing a flash deal that has limited quantities by posting offers on your social media platform. 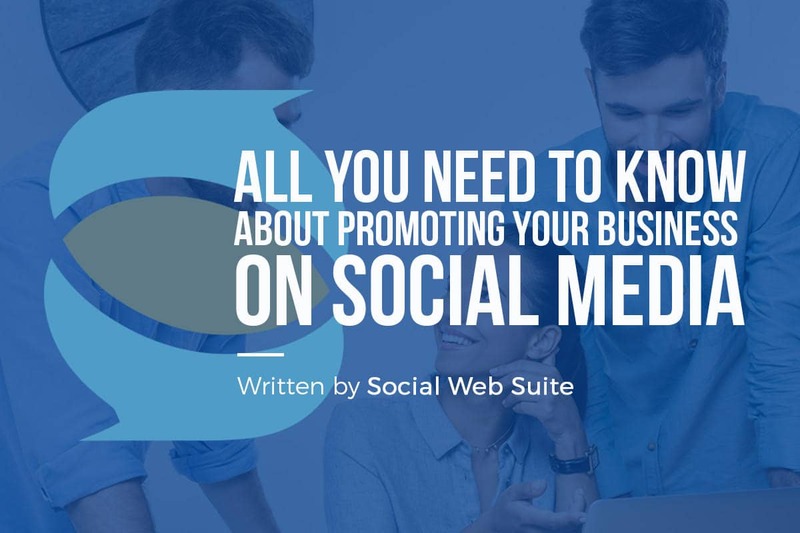 As you’ve seen, when it comes to promoting your business on social media, it’s best to go beyond social media marketing itself so that you can support all the goals in your overall marketing strategy. Use the tactics outlined in this post to boost your social media marketing efforts starting right now.